Human activities are now the primary cause of changes to marine biodiversity. Their effects are frequently irreversible and may affect all levels of organization inhabiting in coastal environments at the genetic, species and even ecosystem levels. The main man-induced perturbations can be grouped in (i) overfishing; (ii) chemical pollution and eutrophication; (iii) alteration or loss of habitats; (iv) alien species, and (v) global climate change. These perturbations can lead to changes in ecosystem structure and functions, however, the consequences of human activities have focused on declines in endangered species that even led to global extinction of species such as, birds and invertebrates. It is extensively known that organisms vary in their response to perturbations, with some species exceptionally sensitive and unable to face altered conditions. In contrast, other species can tolerate various levels of stress and even some of them can be considered opportunistic because they may flourish in highly impacted areas. However, the impact of human activities on ecological systems are poorly characterized, and interactions between multiple anthropogenic disturbances are even overlooked. Human and natural disturbances rarely occur in isolation and may interact to influence the community structure and dynamics in ways not predictable from single factor studies because of non-additive effects. In most places, little is known about which man-induced stressors are having the largest impact on ecosystem condition and also their spatial patterns, cumulative effects or how the composition of pressures is changing over time. Papers dealing with overfishing, land-based perturbations (run-offs, pipelines, desalination plants, etc. 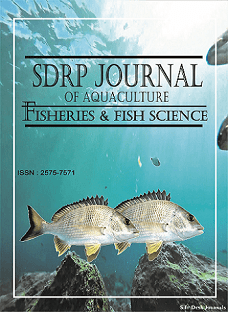 ), chronic pollution (harbours), offshore-aquaculture, habitat loss and marine invasive species transported by man-made structures fits entirely to the present topic. Ecological studies on the effects of anthropogenic perturbations is a powerful means to assess both the spatial pattern and temporal change of individual human pressures, as well as, their overall impact on natural systems across different ecosystems and ecoregions. A pivotal step for conservation and management of coastal ecosystems is to be able to evaluate the relative impacts of different stressors. Management actions can be appropriately prioritized by managers and stakeholders to make strategic decisions and monitor progress towards objectives. Thus, papers concerning conservation and management of coastal ecosystems are also integrated into this research topic.